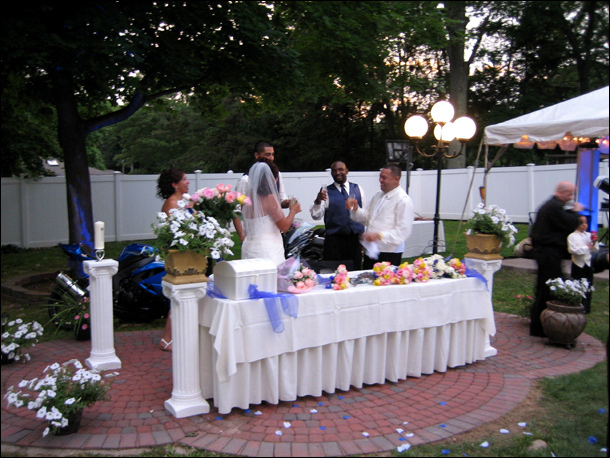 Long Island Wedding Catering - catering backyard and off premises weddings. 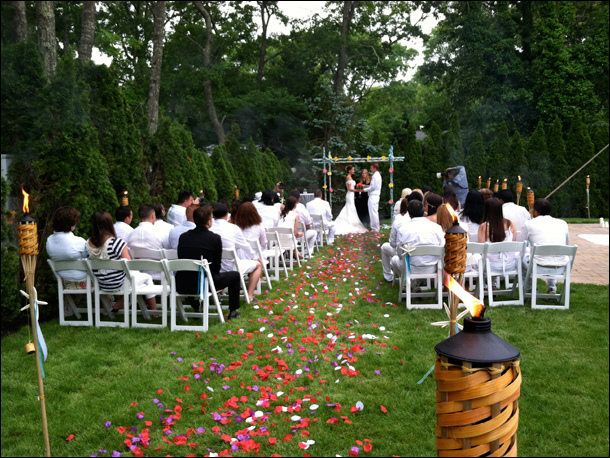 Felico's full service wedding catering with its central location in Farmingdale NY allows us to serve the whole Long Island and bring our delicious food to wherever you decide to celebrate your wedding day. 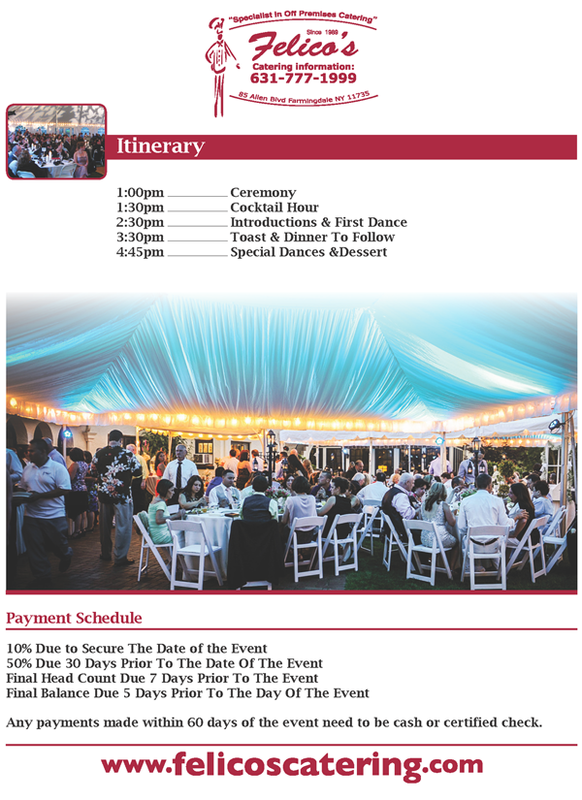 Whether you want to have your dream wedding in Nassau or Suffolk county, our wedding planners and full staff of waitresses, waiters, bartenders, busboys and chefs, will be there to help you plan the perfect off site wedding. 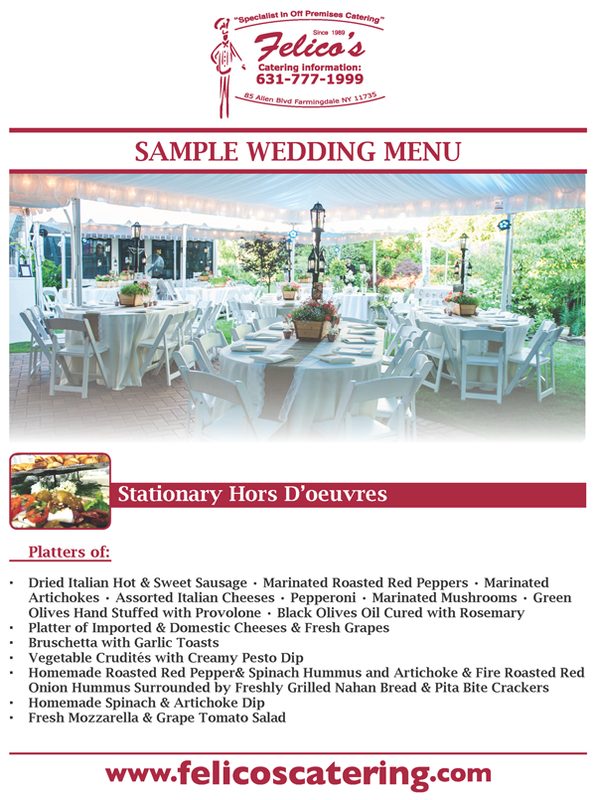 25 years of experience of planning and executing weddings that go beyond traditional catering hall allows us to confidently say that we are the best choice for a wedding caterer in Nassau and Suffolk counties on Long Island. Visit our photo gallery to see pictures of our beach and backyard weddings, tent weddings in the parks and by the lakes, and see how we can transform the humblest of settings into a place worthy of a grand event. 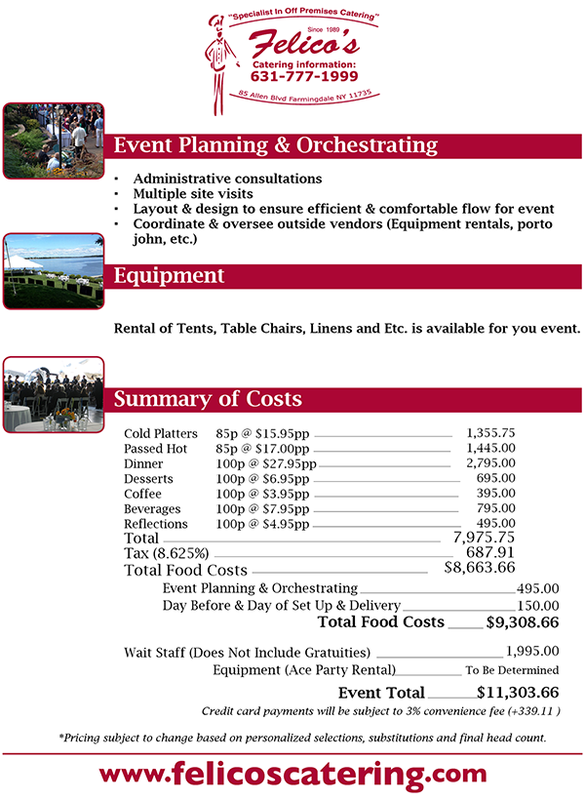 It doesn't matter if it is a theme wedding, a football wedding, an intimate gathering for closest friends or a grand event involving hundreds of people, we are conscious of your budget as well as any dietary restrictions you may have. 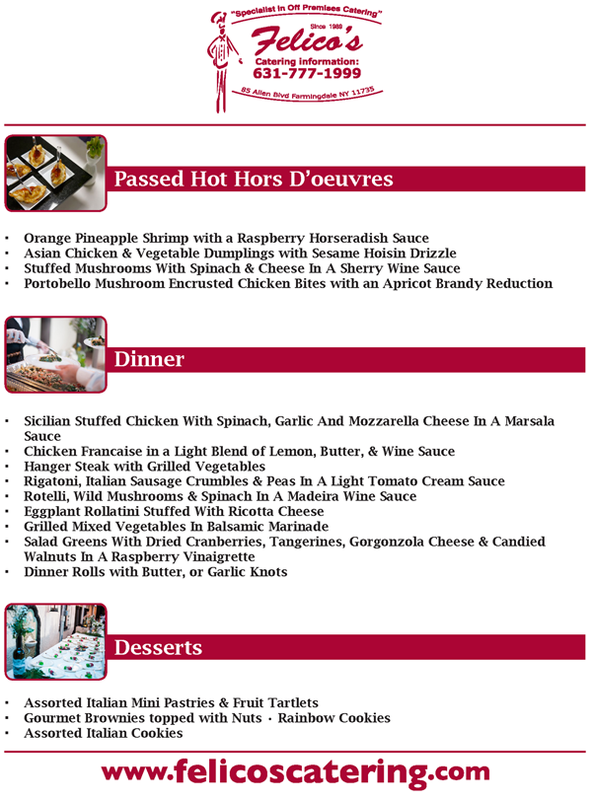 We also offer a full gluten free menu from hors o'deuvres to a custom made wedding cake, provided by Pink Poppy gluten free and wheat free product line. 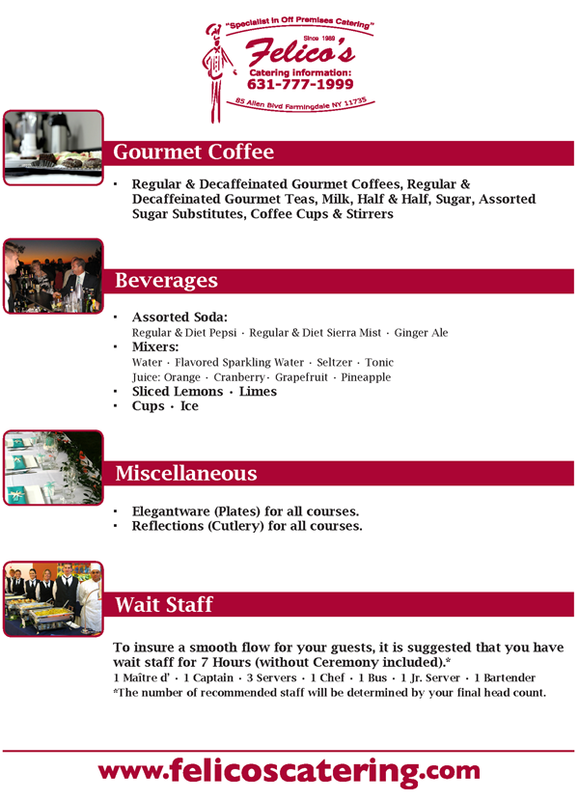 Beyond catering exceptional food, we'll take care of all the little details from wedding equipment rental and party setup providing you with wedding tents, tables, linens, flatware, glassware, portable bathrooms, and everything else you might need to make your night a success. As you are planning your fairytale wedding, come and sit down in our private tasting room and let our chefs of culinary excellence help you with the menu selection. 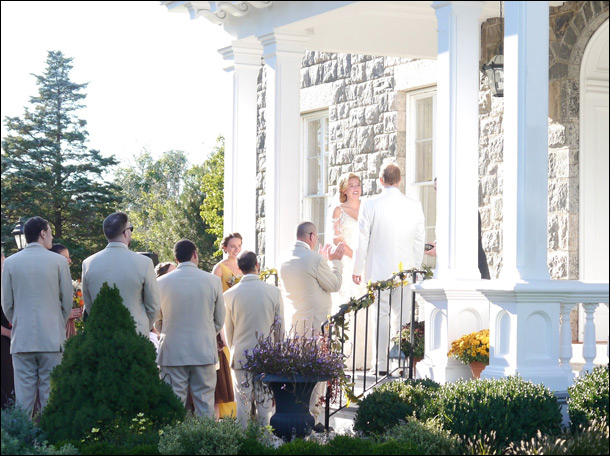 Let Felico's full service off premise catering give you a wedding that you can enjoy without worrying about a thing - our friendly expert staff will be there to help you along the way and take care of every little detail.